The goal and purpose of all chiropractic is to correct spinal subluxation and nerve balance pathways. 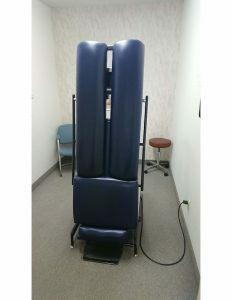 doctor determines the exact level, segment, and direction of the adjustments and with a very precise thrust, restores the vertebra to position. This quite often produces a small “pop” sound, which is created by the release of gas between joints. Activator/Torque Release: These techniques are both performed using a specialized instrument for the adjustment. Both techniques appear to be similar from the patients perspective, however each technique has it’s own indicators for diagnoses, location, and timing of the correction. 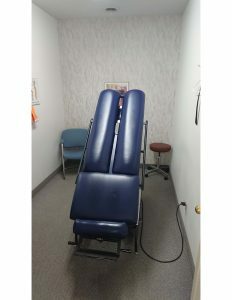 Thompson Drop Table Technique :The Thompson Technique utilizes a specialized chiropractic ‘drop table’ to perform spinal adjustments. 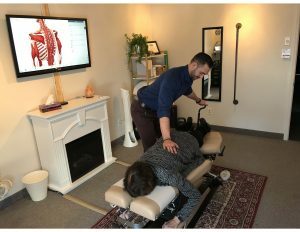 Thompson technique is especially beneficial for pregnant and elderly patients as well as those in acute pain. 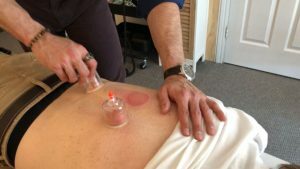 Cupping: Cupping therapy is a technique for stimulating healing in areas of soft tissue injury. Cups are used to improved blood flow which helps to flush out waste products and dilute inflammatory agents. 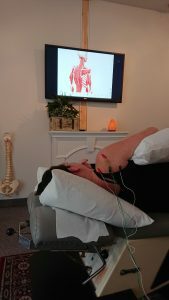 Contemporary Medical Acupuncture [Electro-acupuncture]: Contemporary acupuncture is a precise peripheral nerve stimulation technique for the therapeutic purpose of modulating abnormal activity of the nervous, endocrine, immune and musculoskeletal systems. 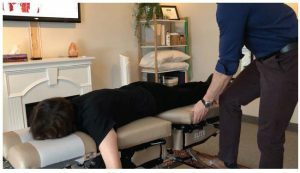 Deep Tissue Release: Tissue release is used to physically break down muscle ‘knots’ or adhesions (bands of painful, rigid tissue) that can disrupt circulation, cause pain and inflammation, and limit motion. It can be performed by hand, or with the use of tools. 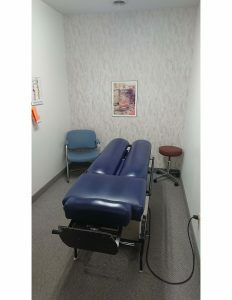 Based on the patient’s condition , age, and pain level, we will recommend the techniques that we feel are most appropriate. If the patient has a strong preference for a specific technique we will, when possible, try to meet their request. Please click here for our Technology page.